Sweet little pre-walker shoes for baby girls, by Agatha Ruiz de la Prada. 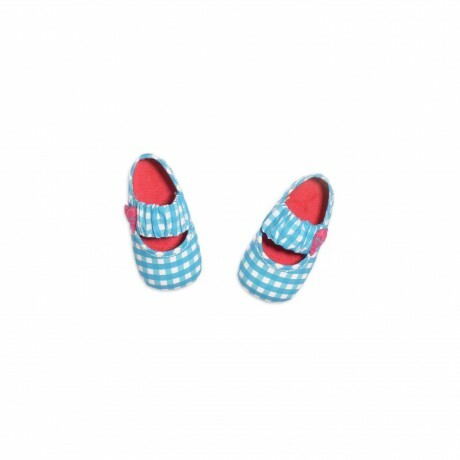 The blue check upper is made from soft cotton fabric, decorated with cute designer's branded logo heart button on the side. There are elasticated straps across the foot to help keep the shoes on little feet.